As history is often defined by the political actions of nations, we are able to trace the impact of legislation on witchcraft in various locations throughout time. These decrees were sometimes oppressive, though others were constructive for the progress of the Craft. As we will discuss today, the implication of even others has yet to be known. For example, the Inquisition, or the Roman Catholic Church’s official policy on heretics, commenced an epoch of persecution for witches and other non-Christians alike, while the United States’ Bill of Rights permitted religious freedom for all citizens. In Great Britain, the Witchcraft Acts of the 16th century made the pursuit of this spiritual path penalized by death, while the Repeal of the Witchcraft Act of 1735 made way for underground neopagan groups to surface. There are many more historical regulations of this nature, though today we pay tribute to the decision of the New York case Stambovsky vs. Ackley. In 1991, a new chapter was written. Helen Ackley and her family had lived at their residence in Nyack, New York for decades, despite the fact that they considered it to be haunted. Mysterious whispers were heard, items went missing, and some of the family members even claimed to have seen ghosts. The Ackley family reported these incidents to numerous sources, including international magazines. However, in the late 1980’s the family had had enough, and decided to move. In conjunction with a realtor, Helen Ackley avoided the mention of any haunting at all costs when trying to sell the house. A man named Jeffrey Stambovsky purchased the house, unaware of any folklore at the time. It did not take him long to hear about it. Stambovsky took the matter to the courts, stating that Ackley had misrepresented the property, and had intentionally mislead Stambovsky by claiming that there existed no particular rumors about the house. At first, the courts rejected the matter, deeming that with the separation of church and state, the issue of spirits and ghosts pertained to religion. However, after rumors about the house that the Ackley’s had previously published became well-known, the court could not avoid a ruling. After long deliberation, the New York Supreme Court decided that all sellers must openly state any notions held about the property to the buyer, for better or worse. Many castles throughout Europe and Asia are said to be haunted, and have since been abandoned. In the United States and elsewhere, many individuals have claimed to witness the paranormal in their house. 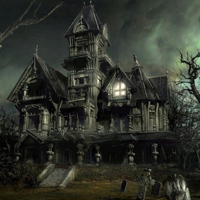 Though it was determined in many of these cases that an excess of Carbon Monoxide led to many of the mysterious happenings, haunted dwellings are the most believed paranormal happening of all according to a recent poll. While it was thought that these dwellings with permanent ghost residents were a trend of Hollywood and in literature, this recent case helped to prove otherwise. Many questions have been posed. 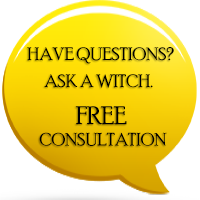 Is it true, unlike the beliefs at the time of the Seybert Commission that individuals who are not mediums can contact or be contacted by the spirits? The Ackleys certainly did not claim to have any extraordinary abilities. What circumstances lead to a spirit not being able to leave a residence? Is it due to the manner of passing from this world? 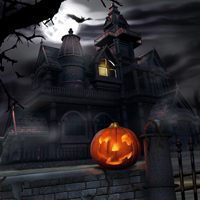 The consequences of the 1991 case are still in the works, though it has certainly increased intrigue in haunted dwellings since the decision had been made. As the great band Stone Angel put it, "There's a house on a hill over yonder. No one goes there and no one ever will. Evil voices scream out in pain and torture. No one knows exactly what it is. No one knows exactly. Legend has it of children who have wondered. Far from where they should have gone. And far from where they should have been. Wake the dead from a rest of peaceful slumber. No one knows exactly what they did. No one knows exactly."